A huge number of wild hogs live across US. The total number is estimated at more than 5 million. Virtually every US state has a small or larger population of hogs which means that each state has ample hunting opportunities. However, some states have large populations and a landscape that is better suited to hunting. Most notable among these is Texas which has a hog population that numbers at around 2.6 million. Being a haven of hog hunters and home to breathtaking scenery, Texas is the best state to go hog hunting in the US. Florida also has a huge hog population and has relatively lax hunting regulations. This means that you can hunt without a license on private land, in contrast to many other states which require license for private-land hunting. Other US states that offer plenty of hog hunting opportunities include Georgia, Louisiana, Arkansas, Alabama, Oklahoma, South Carolina, Hawaii and California. Compared to other US states, these states have huge hog populations and relaxed hunting regulations, making them the perfect destinations for hog hunting. Night is the best time to hunt hogs. This is true for many reasons. For a start, most hog populations have adapted to the hunting patterns of the hunters. As a result, they have stopped coming out in the open during the day, affording few opportunities. This is particularly true for areas where hog hunting is popular. This is why night is the perfect time for hog hunting. Hogs feed at night, which means that they have to come out of their hiding places to get food. As a hunter, you can track them at this time using equipment such as artificial lights or by using an expertise in tracking and night hunting. Although night is the best time to hunt hogs, night hunting comes with its set of challenges. For a start, there may be very low visibility due to dark conditions. This means that you can’t track, spot and shoot the hogs as efficiently as you would during the day. Fortunately, there are ways to work around this. You can improve your visibility using night vision devices. These devices let you easily search and clearly spot the hogs. You can also choose an area with better visibility, such as an open field or an expansive landscape. Even if you are not using a night vision device, a quality hunting light is a must-have during your nighttime hunting excursions. Such a light lets you spot the hogs and then target them effectively when shooting them. It significantly increases your odds of making successful kills. It is also vitally important that you properly bait the hogs when hunting them at night. 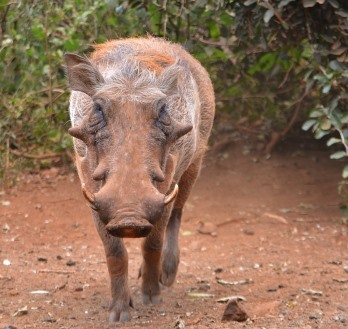 Hogs typically rely on their sense of smell to seek and forage food. You can set up baits which feature foods that attract hogs, such as corn, acorns and fruits/nuts. Hogs leave very clear trails when they move around. These trails let you find the path to and from their bedding areas. Once you spot these trails, it is time to set up your ambush. Hogs come out of their bedding areas at night and return a little time after sunup. You can establish an ambush near their bedding areas when they are going out or when they return. If you want to target them when they leave their bedding areas, you must establish an ambush soon after it gets dark. If you want to target them upon their return, ambush them around dawn and target the hogs at the rear of the group. Alternatively, you can track the hogs to their feeding areas and then ambush them in the open. 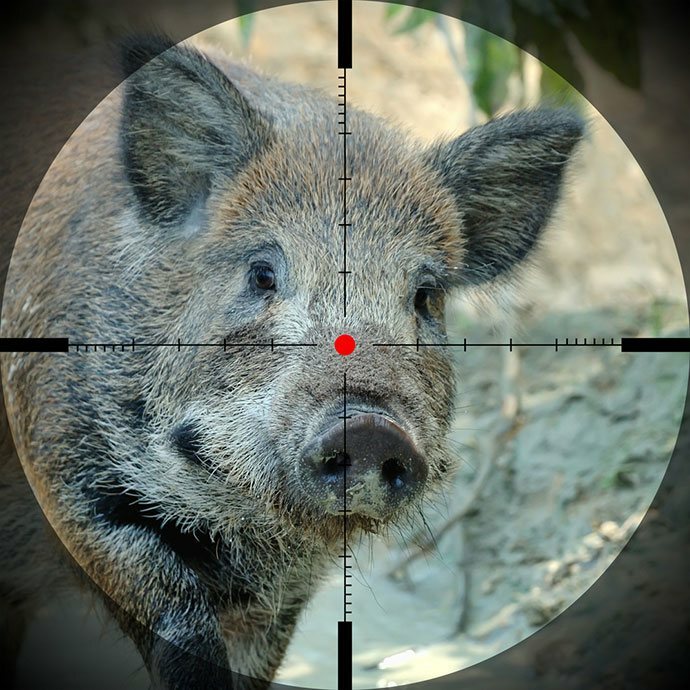 This allows you a great time range to target and hunt the hogs. 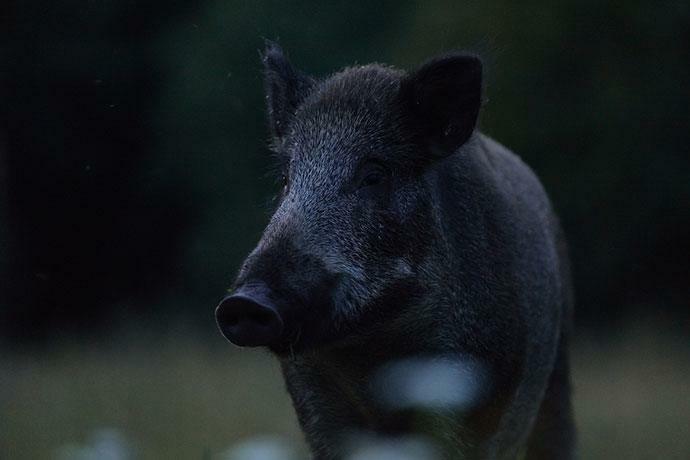 Night vision gives a definite advantage when hunting hogs at night but they also have drawbacks like additional carry weight and more expenses. You can also hunt without night vision quite effectively using a few basic rules. The most notable among these is to practice how to use the moon’s light to most advantage. Acclimate your eyes to moonlight and it will be very helpful in letting you spot the hogs. 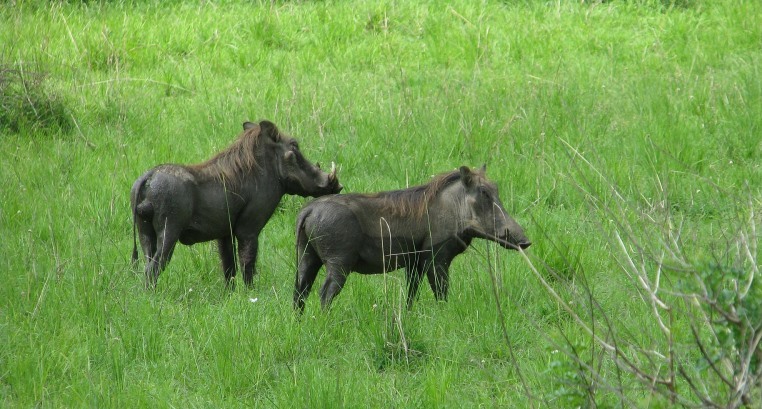 In addition, you can use a pair of binoculars to zoom in on an area that seems alive with hog activity. You want to try different pairs of binoculars to see which one is better suited for use in low light conditions. You can also carry a small light to complement night hog hunting. Such a light is most appropriate for use when you have already scouted and detected hog activity in an area. The light gives you good visibility for the final kill. You can go with a professional hunting light, such as a headlamp, a scope mountable light or even a handheld light.